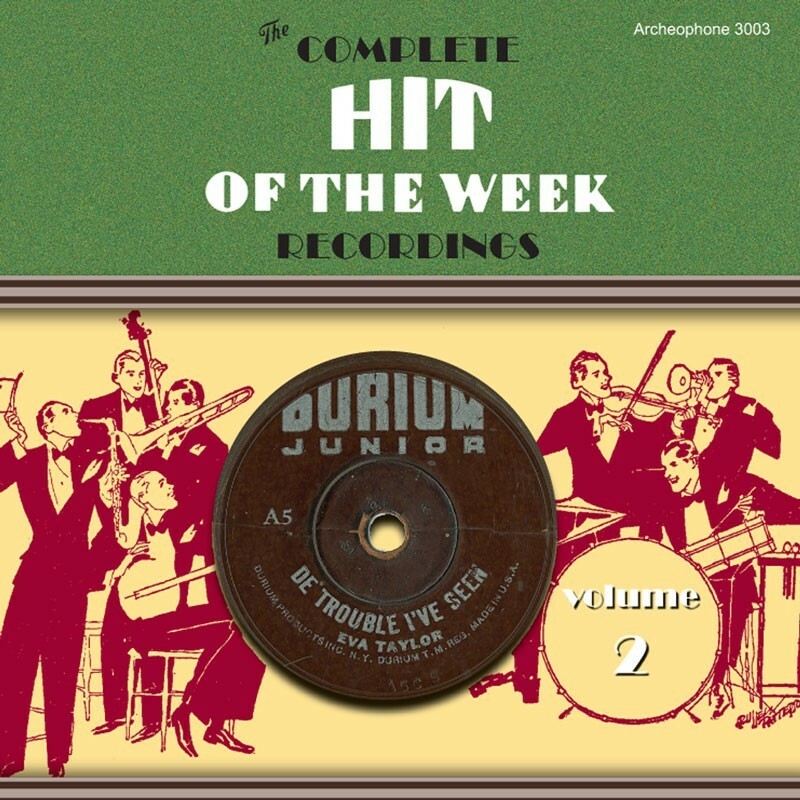 The Complete Hit of the Week Recordings, Volume 2 includes 48 tracks, spanning 1930 through 1931, by standout bands led by Vincent Lopez, Ted Fiorito, Harry Reser, Sam Lanin, and Don Voorhees. Plenty of rare gems are here too, including all five A-series Durium Juniors (featuring Eva Taylor, Frank Luther, and Carson Robison), an experimental 5-minute Hit of the Week, and a live Durium recording of pianist Leola Felton playing "The St. Louis Blues." 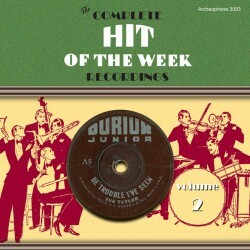 Visit Hit of the Week, Volume 2's expanded catalogue page to see the complete track listing, read an extended description, and listen to sound samples.